The discovery of potential oil and gas reserves off the coast of the Levant has drawn numerous foreign naval powers to the waters of the eastern Mediterranean and has further complicated the security situation in the Middle East. Local governments, regional players and world superpowers all seem to be descending on this now vital stretch of water. Since this discovery and the onset of the Syrian Civil War, having a presence in this area of the globe has become a top priority for many nations. Russia has increased its presence out of concern over the situation in Syria. 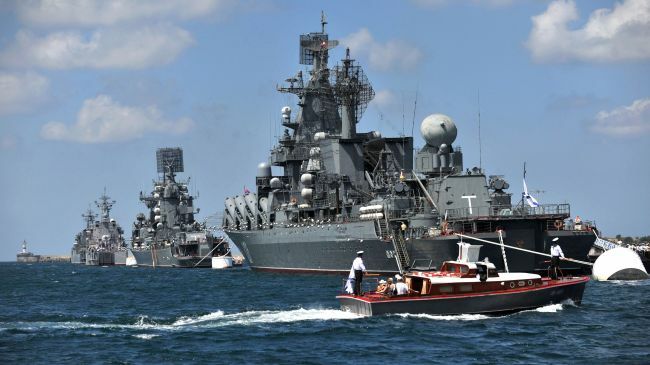 Syria is a vital ally to Russia, as the Russian fleet uses the Syrian port of Tartus as its main port of call in the Mediterranean. The risk of regime change in Syria means the risk of Russia losing much of its access to the Mediterranean, which has massive implications for its Baltic ports, which freeze over in the winter. Iran, also in support of Syria, but mainly as a power projection, is also sending ships to the eastern Mediterranean. Iran has been attempting to up its reputation as a regional power, and is also a main supporter of the Assad Regime in the Syrian Civil war. Chinese vessels have also been seen in the eastern Mediterranean. Though they also support the Syrian Regime, they do not do so as actively as Russia or Iran, and it is likely that their interest lies in the potential oil reserves. Even the United States, though in the middle of a critical pivot to the Pacific region, has decided to spare some of its forces to remain on-call in the Mediterranean. Several other western allies and NATO members, such as France and Britain, have also sent forces to the region. Israel, in the midst of this convergence upon the eastern Mediterranean, is hoping to move quickly to exploit the natural gas reserves that sit in its Exclusive Economic Zone. Unfortunately, the presence of so many foreign vessels complicates the issue, as does the promise from Lebanese Hezbollah to attack any attempts at harvesting resources. Israel desperately needs to decrease their reliance on foreign natural gas, which has them at the mercy of unfriendly nations such as Egypt. If the reserves hold as much as experts say they do, Israel could become self-reliant for natural gas production, and even become an exporter to Europe. There will likely remain somewhat of a stalemate as the conflict in Syria continues to rage and foreign navies descend on the region. After that though, the situation could become quite unstable if Israeli decides to make a play to harvest the resources.